Young Church offers worship and teaching for children of primary school age. During the administration of Holy Communion the children return for a blessing. They love to share their work with the congregation before we sing our final hymn together. Sunflowers is a group for pre-school children with their parents or carers. 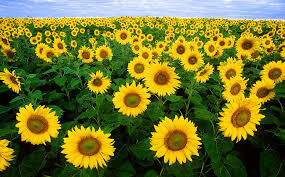 Sunflowers meets on the third Monday of the month (except August) at 10.30 a.m. in church and afterwards in the Parish Room for crafts and refreshments.